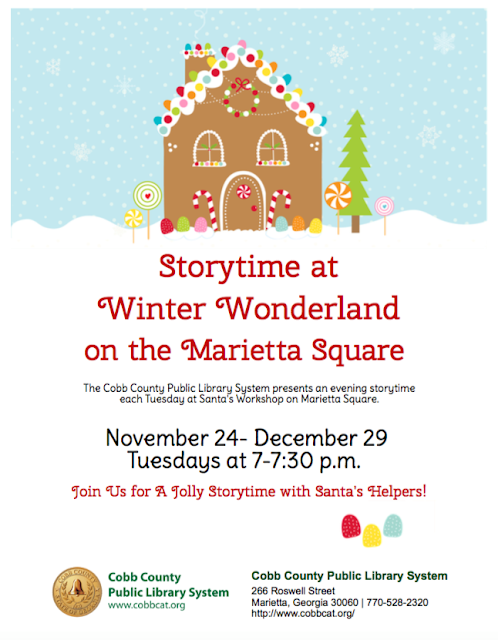 The city of Marietta always goes all out for the holidays. We recently had the opportunity to visit the Historic Marietta Square. The heart of the square has been transform into a nostalgic Winter Wonderland. “The Square often resembles a Hallmark movie on a regular day...to see it transform into a winter wonderland and to be able to share that feeling with everyone is truly amazing.” The Marietta Square has an open-air ice skating rink, the cutest Santa’s Workshop, and a multi-story Christmas Tree. For New Year’s Eve celebration they are doing a “cow drop”. The way it works is that basically you buy a Chick-Fil-A mini plush cow to be drop near NYE target. The four closest cows win a year of Chick-Fil-A! The Historic Marietta Square is an easily accessible, unique urban destination located just 5 minutes from I-75 with an abundance of FREE parking. For metro-Atlanta residents or tourists who want a place to gather and enjoy Intown Culture with Small Town Charm, the Marietta Square is the place to be. Nineteenth century buildings serve as the backdrop to an intriguing blend of contemporary dining, arts, culture, and entertainment. The heart of the Square, Glover Park, hosts a never-ending calendar of events and markets. An eclectic mix of cultures has given rise to an array of chef-owned restaurants as well as a thriving art and theater community. Details on City of Marietta's website. More info on City of Marietta's website. Congregation Ner Tamid will be facilitating the celebration Sunday, Dec.13th, 6pm - 8pm on the main stage at Glover Park. Thursdays Home Depot sponsored workshop where children may make their own toy!